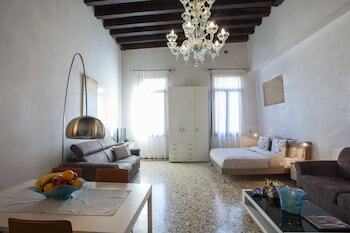 A stay at Ca' Sant'Angelo Apartments places you in the heart of Venice, within a 10-minute walk of St. Mark's Basilica and Academy Gallery. Featured amenities include dry cleaning/laundry services, multilingual staff, and luggage storage. A roundtrip airport shuttle is provided for a surcharge (available on request). When you stay at Palazzo Sciacca in Patti, you'll be near the beach and 13 minutes by foot from Roman Villa. With a stay at Omas Haus in Toscolano Maderno, you'll be within a 15-minute drive of Vittoriale degli Italiani and Parco Alto Garda Bresciano. Free self parking is available onsite. With a stay at Aback in Bari (Municipio 2), you'll be within a 15-minute drive of Norman-Hohenstaufen Castle and Conservatory of Niccolo Piccinni.